Galaxy medals feature a 3 dimensional scene framed by a border of a star and wreath design cut out. 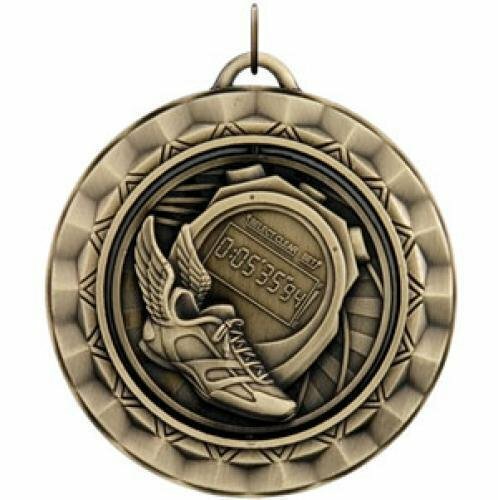 The back of the medal can be engraved to personalize for your event or team members. Galaxy Medals are available in gold, silver and bronze. Available in Antique Gold, Silver & Bronze our 2 1/2" Super Star medallion has a intricate star border design with unique cut outs. 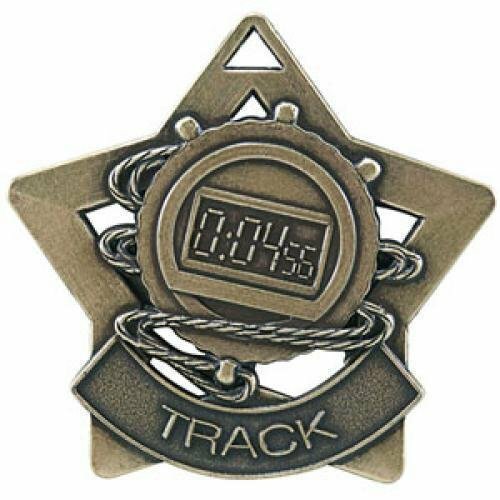 Designed for the star team or individual this medal is sure to impress. Each medal has a smooth back for engraving. Elegant Saturn Track, Female. Bronze Resin Trophy. Elegant Saturn Track, Male. Bronze Resin Trophy. Star Medals offer quality & classic design. 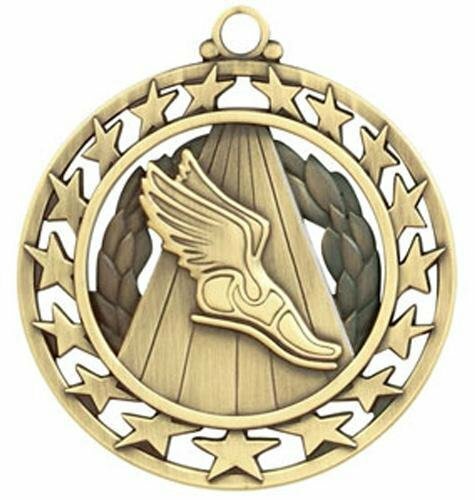 Star medals are available in Gold, Silver & Bronze.